Michelle LeAnn LLC is a Consulting/Coaching and Network Marketing Corporation designed to assist up and coming as well as established Business Owners, Entrepreneurs, Charitable Organizations, Corporations and Ministries in getting further established and making an online presence through idea development, graphic design and media development, resource development and life development. The Life Development department comes with 20 specialty groups that create balance for any and every one. Michelle LeAnn LLC has just what you need to soar in technology and the trending incline of the culture whether business growth or personal growth. In the Fall of 1983 a little one was born specifically for impact. Greeted by a loving Mother and three brothers, the world was introduced to Michelle LeAnn. Arriving on the scene at Methodist Hospital in Houston, Texas, Michelle had a certain disposition about herself that’s still rockin’ the lives of those she connect with each day. She was born to two loving parents Joe & Zella, both parents are still alive and doing well. She has three older brothers; Gordon, Lionel and Frederick, Sr. Also, she is the proud Aunt of six little people ages 3-13. Her family has served in her development and her favorite self made quote coined at the ripe age of 4 stands strong today, “Who My Think My Is? !” instead of who do you think you are? She’s always had a way with words and celebrated for her unique perspective and communication expertise. She eases conflict and methodically transitions from defeat to triumph with a stance of confidence. Who knew this little lady raised in the small town of LaPorte, Texas would rise to greet the world with, “Let’s Ignite You” a launch of the first ever “Ignite Sessions”, where Purpose and Passion collide to create momentum that produces the joy in living! Michelle LeAnn graduated with honors from Wayne County Community College District in Business Administration and pursing a double major at Wayne State University. Among academics she has excelled in Corporate America at Oakland University, DTE Energy, Target Corporation and served as the Director of a Local Weekend Marketplace in Michigan. As the owner of her self named business Michelle LeAnn LLC, she has settled in the business arena serving anyone from a start up business to a hobby turned business with top of the line consulting and coaching. 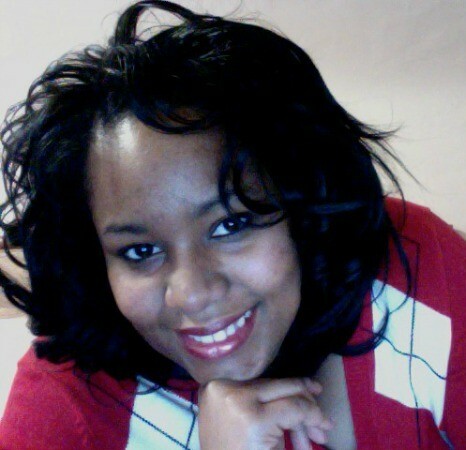 She has expanded her business products and services to web hosting and design packages. As an Innovator she has broken into the Entrepreneurial Market through meeting the needs of other business professionals with consulting, social media development and training. Peruse through the site to see what areas Michelle LeAnn can assist you in launching into Business Success! A servant’s heart and honored to be an Industry Leader!